How is it that time so quickly goes by? It’s unbelievable that 4 years have gone so fast. That 52 months later, we leave the Netherlands, the place we’ve called home for so long…..to return to that which we speak of as the homeland, Nigeria. I still remember when we arrived on that cold and frosty spring morning. My tummy heavy with child, flanked by husband and two daughters. We arrived as 4 and now we leave as 5 – the addition of a son bringing us to the perfect number, five. Well, perfect just because I say so! 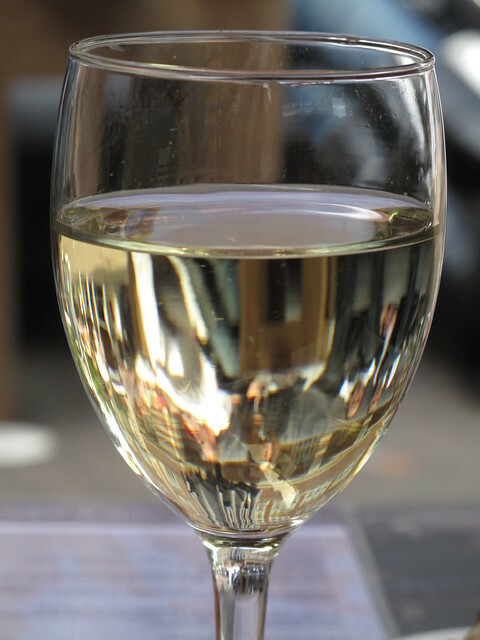 This month’s ´Favourite Things´ are devoted entirely to my favourite Dutch things; things that will no longer dot my landscape, or line my shelves or be stashed in the deep-freezer of my local supermarket for that matter in a short while! 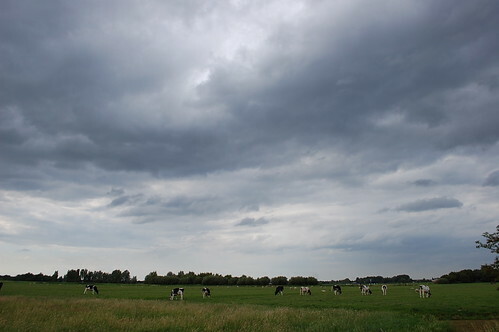 Living in Holland has warmed me up to the expression Lazy Cow. 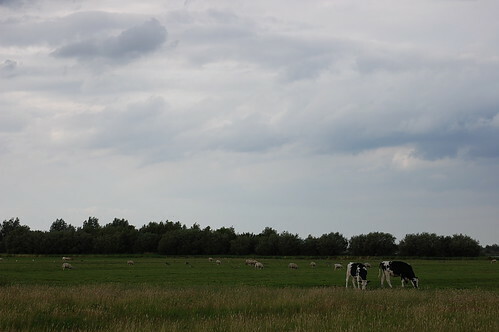 One must conclude, as I do (and rightly so methinks), that Dutch cows lend themselves to the phrase. Never have I seen herds of cattle so relaxed, basking in the warmth of the noon day sun…..casually munching on fresh green grass. Thankfully, I’ve benefited from great dairy and can attest to the fact that though the phrase sounds nice, these cows are far from that! Plus I don’t envy them the winters! 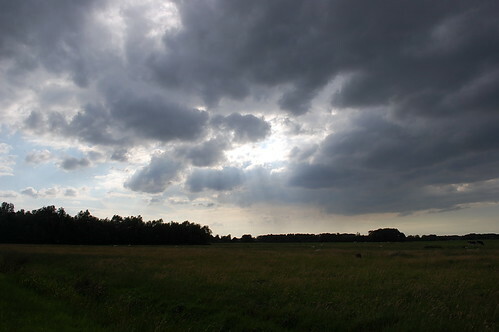 I will miss the endless stretch of green in spring and summer even if dark clouds hovered. And the views, sculpted by white ice in winter. From green we move to ‘sugar’. I must say that I am hard-pressed to find a competitor to stand against the Dutch when it comes to the wealth of bread toppings for a morning slice. Forget the savoury, cheesy ones. Or the spreads like 6 types of peanut butter, all manners of chocolate spread, jams, marmalades and even Speculoos, cookie paste from Belgium. There´s Kokosbrood, sheets of coconut, sweetened and flavoured / banana, rum and raisin, strawberry, all broodbeleg (bread fillings). 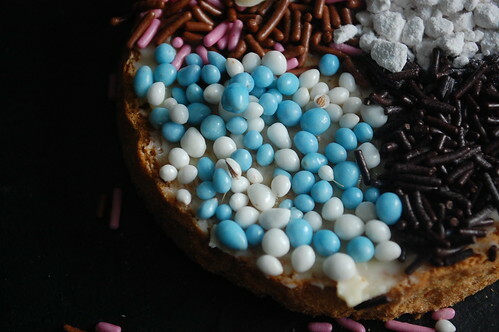 Let´s focus on Hagelslag (Meaning ‘falling down hail’) – chocolate sprinkles similar to Hundreds and Thousands but different, in that the sprinkles are chocolaty (not sugary) and are great on bread. Mind you, butter it first otherwise you’ll have a sprinkled mess! Ice-cream, cakes and even warm milk (only for foreigners mind you, the Dutch are rather strict about its uses!) are the perfect camping grounds for this (sometimes) daily treat, along with the rv accessories, these would make the perfect trip. 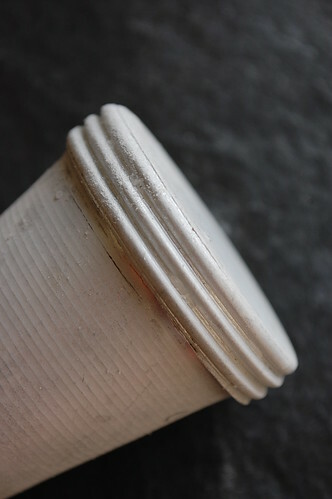 It comes in various forms – chocolate, aniseed and sugar, none of which are overly sweet. 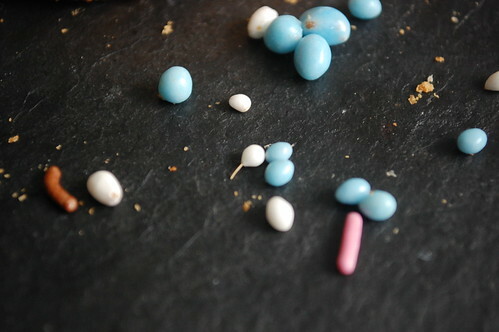 ….and topped with muisjes (mice) – aniseed balls with tiny tails. When you have a boy, guests get blue, a girl – pink and when you’re born royal, the orange ones go on sale! In ancient times, aniseed was believed to stimulate breast milk production so nursing mothers were encouraged to have it. I got served 2 or 3 right after my son was born here and if you must know he was well-fed! Can you see the aniseed seeds? Look hard in the blue & white portion! 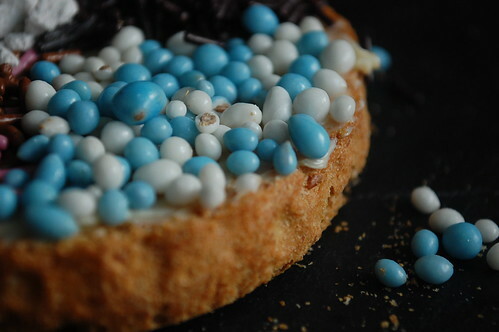 While the chocolate ‘slag is soft, the aniseed balls (muisjes) have a crunchy outer coating. Both are equally delicious. You’ll also find sweet aniseed powder, multi-coloured sugar sprinkles, multi-coloured chocolate sprinkles, flakes and even sheets. Did I mention the chocolate variety comes in milk, pure (dark) and white? 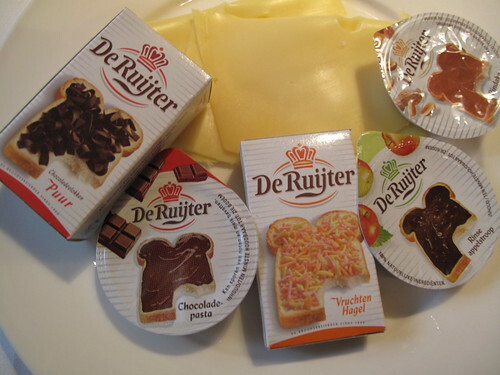 De Ruijter and Venz are the most popular brands. Personally I love them and when we move, we will be packing quite a few boxes. I find though that when we gift them to friends and family in the UK and Nigeria, they find it hard to ‘work’ with the notion of chocolate sprinkles on your bread. They don’t really get it – I must say it took me a few months to understand but now I’m sold! 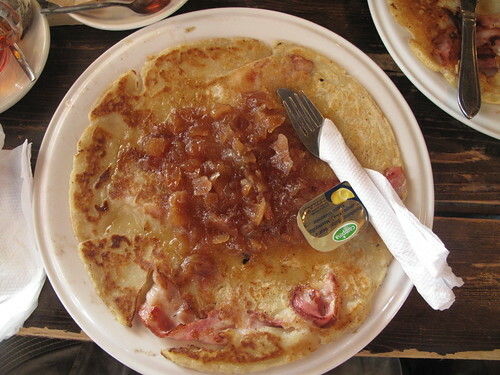 Beschuits can also be used as a remedy for an upset stomach. My Dutch colleague told me that all one had to do was spread some butter on the ‘toast’ and top it with granulated/caster sugar. The ‘victim’ gets carbs from the biscuit and some energy from the sugar. I’m yet to try that one out. 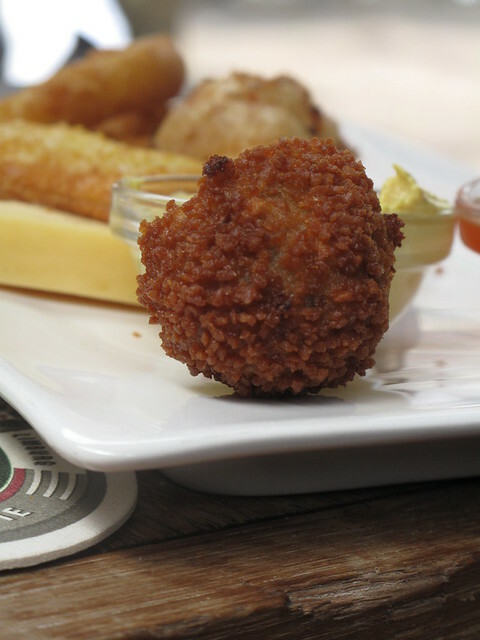 Borrel Hapjes are the Dutch equivalent of the British potato crisps and pork crackling, for bar snacks. 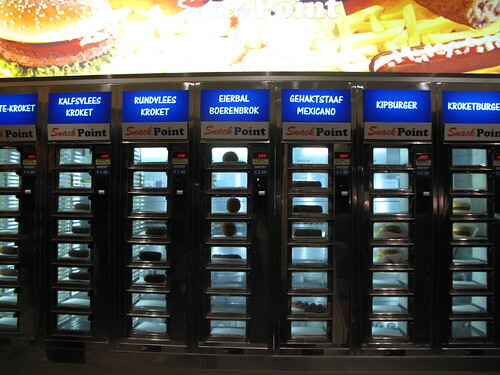 Here in the Netherlands, a pub or bar visit will be rewarded (only when ordered) with a platter of steaming hot snacks (mostly, though sometimes pieces of cheese may also be included), consisting of 4 or 5 varieties. 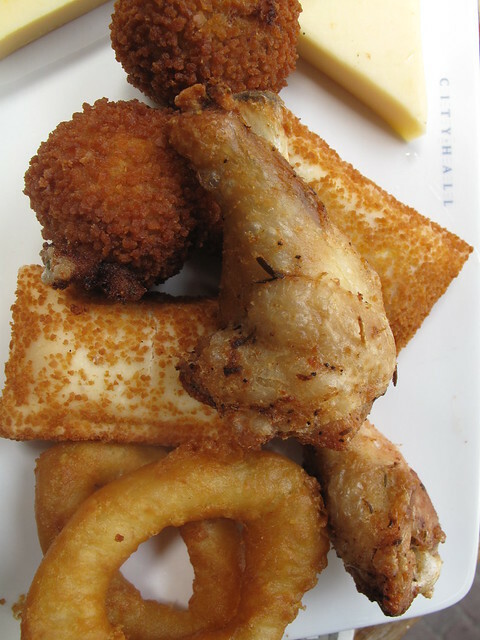 On the platter, one will find something for everyone. Bitterballen (beef croquette balls) for the meat lovers. Now these must be eaten with care as the internal temperature is set to HOT!!!! Many mouths have been burned in test cases. Often accompanied by little bowls of mustard. 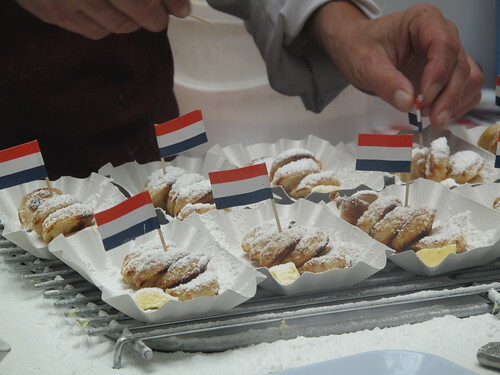 For the vegetarian, a Kaas soufflé will be to one side (or mixed amongst the other meaty delights – some Dutch vegetarians haven’t minded the ‘contamination’ I must say) – flat parcels of melted cheese (also deep-fried) in pastry. One could opt for mustard or sweet chili sauce. 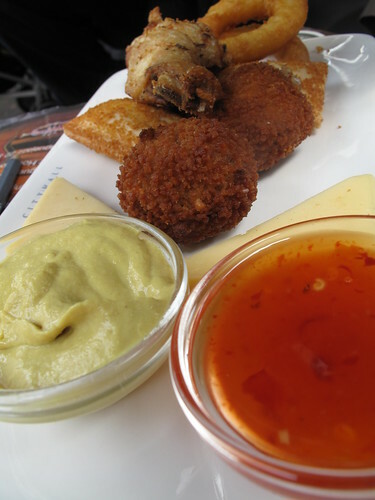 Vlaametjes (‘Little Flames’, hot chile bite of spring roll-like snacks, thin pastry and chillied beef,wrapped into little parcels and deep-fried), chicken wings and nuggets are also accompaniments. Thankfully, all the stores stock ‘home packs’, so for non-drinkers or in-frequent bar trips, making a home platter is not out of the question! And if you’re not at a bar and desperate for some, help yourself (for a small fee) to what you want from the vending machine! I love the colour windmills lend to the landscape, as well as the cows. Not to mention that they are great tourist attractions and were the precursor to sustainable electricity! Smart eh? 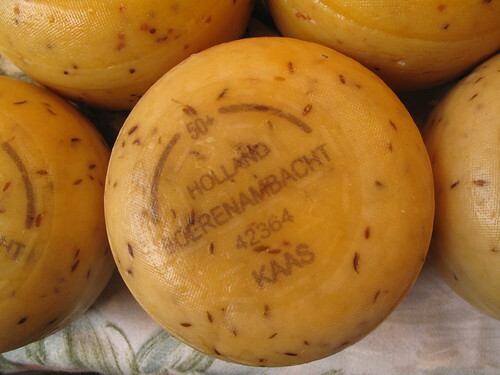 The Netherlands is arguably one of the best places…in the world to come for cheese. 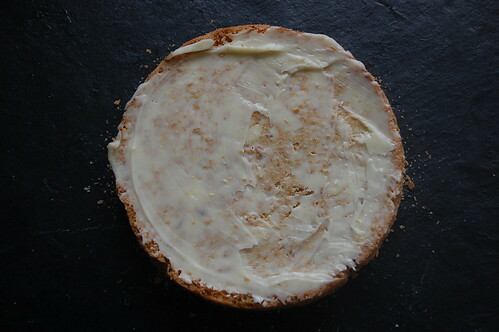 Close to where I live is Leiden, a city that lends its name to my favourite cheese ever in this world – Leidse kaas, essentially milk cheese studded with cumin seeds. 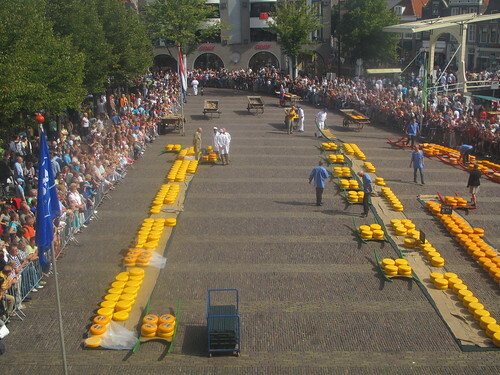 Cheese is CELEBRATED in the Netherlands with summer cheese markets, perfect for tourists and expats. 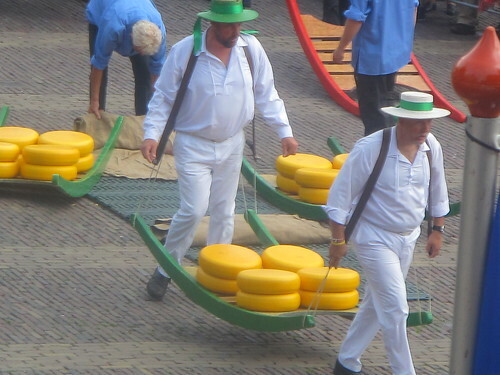 A few years ago, we visited the Cheese market at Alkmaar, which happens in the city’s main square every Friday at 10 a.m., from early April to early September. It was an excellent trip. 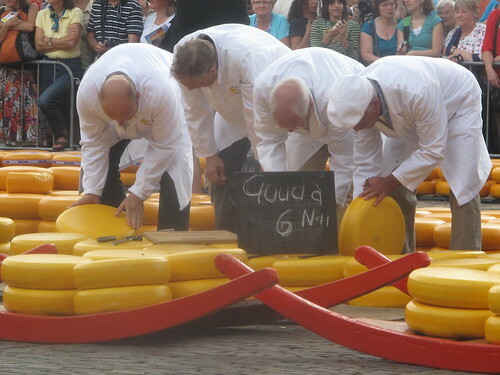 The square is full of hundreds and thousands of cheese rounds, with porters, Dutch maiden (handing out flyers for the Cheese museum and being willing photo props) and inspectors moving back and forth, trying the cheese, selling it and all the rest. 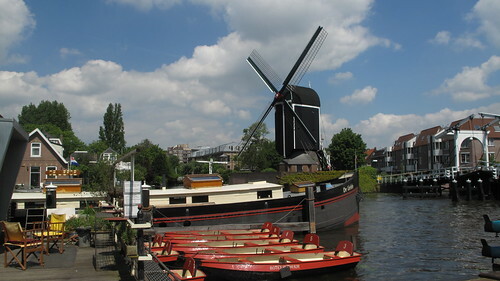 The streets around the square are lined with vendors, purveyors of all things kaas and overlooking the square is a a fine cheese museum, providing spectacular views of the square below and also sharing the evolution of the Dutch cheese industry. We had so much fun and learnt so much. Read more about it here. There’s no way I could forget pancakes, an institution in the Netherlands. 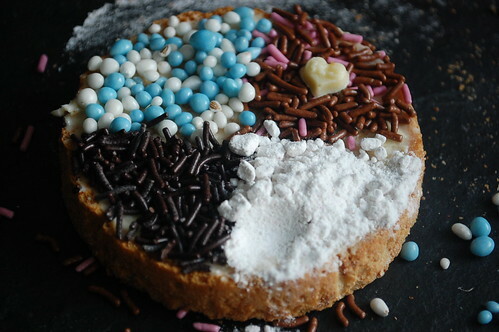 ‘Pannenkoeken’ (literal translation – pan cakes/cookies) are as Dutch as windmills. Cows and cheese. Though I loved pancakes before we moved here that has blossomed into deep romance, and now not so much with me but with my family. Every week, I make a batch or two and we make crepes, pancakes and poffertjes (small Dutch pancakes) out of the mix and have them with bacon, bananas, lemon juice, sugar, cream, strawberries, yogurt, creme fraiche. An endless list really. We’ve been to pancakes houses where they serve them, large as a wheel in such variety, one has difficulties choosing! 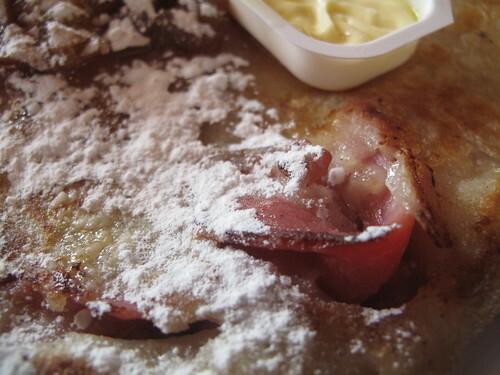 Pancakes and bacon, with icing sugar and butter! Living in an expatriate community, I have been BLESSED by so many wonderful friends and neighbours. From Dutch to English, Chinese, Italian and Indian. Not only have we spent time in friendship but I have been blessed with more than one wonderful meal. 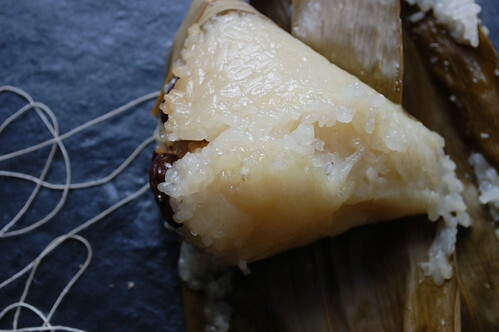 Zóng zi, Steamed rice and dates wrapped in Banana leaves and eaten with sugar, from my Chinese neighbour, S; These are often made in memory of Qu Yuan (340-278 BC. ), the pioneer poet of ancient China. 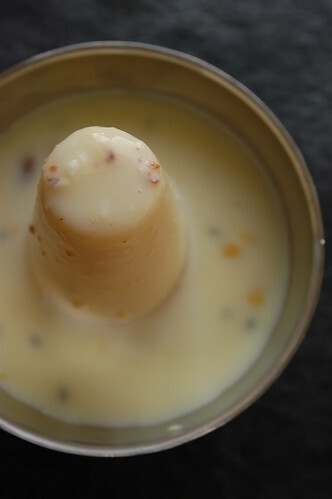 And Indian Kulfi (including the moulds which I get to keep!) and Falooda from my South Indian neighbour, S, who just started a blog, Dosaikal,! I made a ‘float’, and enjoyed it! 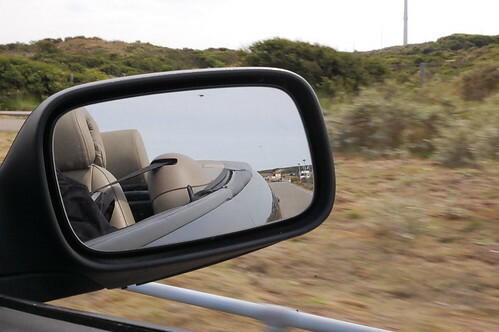 A wonderful gift of a convertible ride, I was much too scared to drive it like I originally planned (bucket list #54)…. 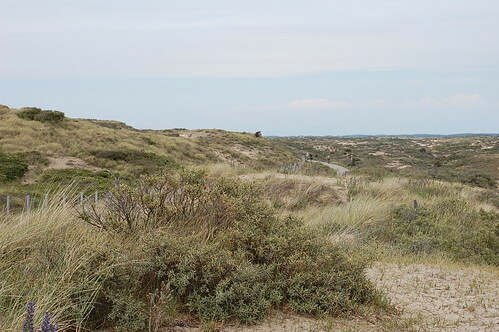 …And a walk in the dunes (bucket list #46), all thanks to my wonderful American friend, A.
I could go on and on and on. Though I return home to the warmth and love of friends of old, I take with me great memories of my new ones. They will be sorely missed! And finally, Orange. 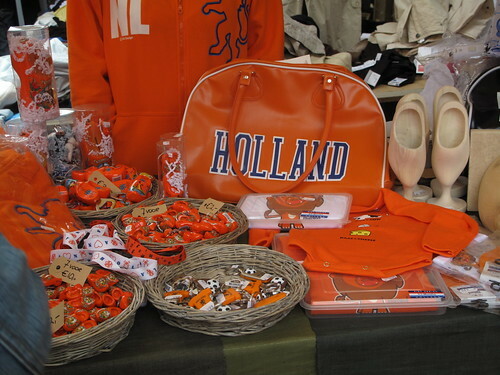 A colour that has found its way into my heart and eyes, binding all my memories of the Netherlands. Flowers. 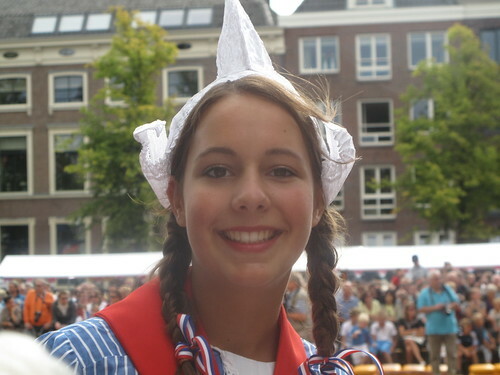 Clogs. Tea. All coloured in a mix of fire and royalty. In a few weeks, things will change and I’ll be back in the sweltering heat of Nigeria. I’m so looking forward to being home again, to sharing the colours and the flavours of my birth land. 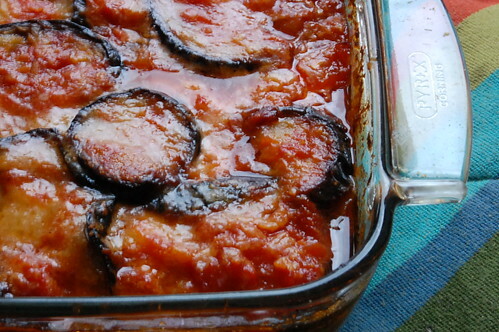 To showing you markets, sea fronts (maybe) and street food and traditional Nigerian recipes. Thank you for being a part of my ‘Dutch’ experience.